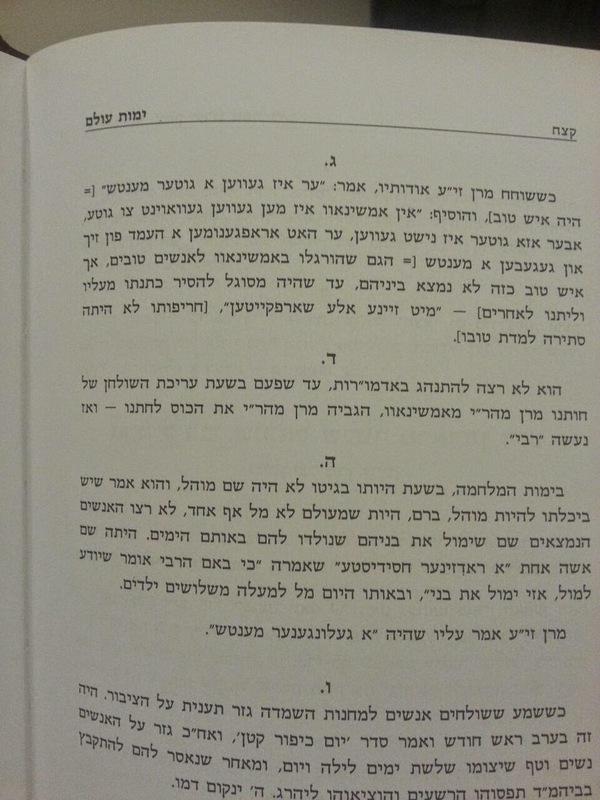 We bring you a shtikkel from the latest volume of גנזים ושו"ת חזון איש, courtesy of a devoted and kind reader הרוצה בעילום שמו, where a copy of a שער בלאט of a sefer by the late R. Yechiel Michel Tuktchinski (who married a granddaughter of Reb Shmuel Salant) on the issue of the International Dateline (קו התאריך) is shown. 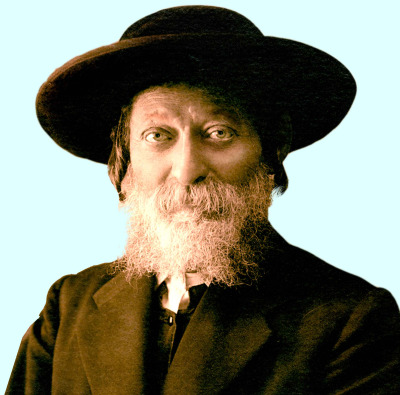 The Chaz"I wrote a small but very poignant inscription at the very top of the page, which some say was indicative of his opinion of those who disagreed with him; - such as Reb Chaim Noe - namely, that they were treif. 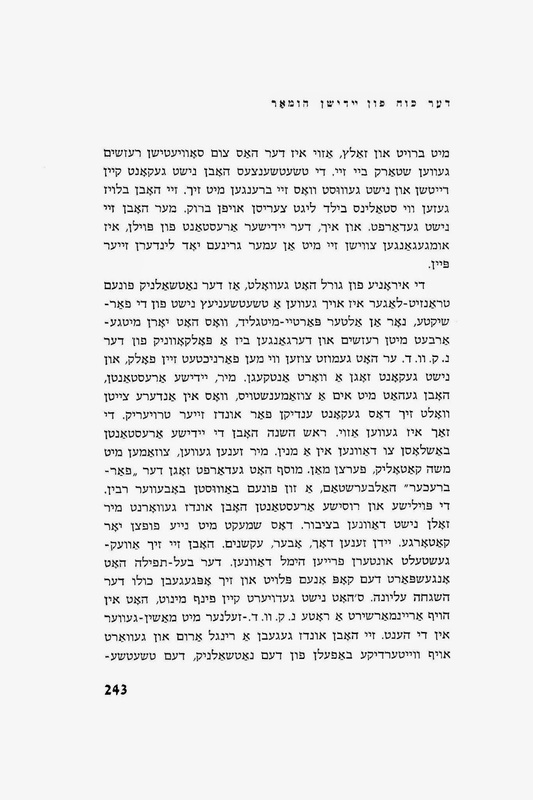 The CI doesn't say exactly in his own script why he wrote that the sefer is "neged Chazal," but Reb Shmerel Greineman quotes him as saying that RYMT writes נגד חז"ל והראשונים and bases his opinions on the Maskil and Apikores Hayyim Zalman Slominski, who wrote a book/sefer on Astronomy and such. I don't know if RYMT admits to him being the source, or if the CI smelled it on his own. Was טוקצינסקי the only one who used astronomy books etc. to pasken regarding complicated matters of astronomy? 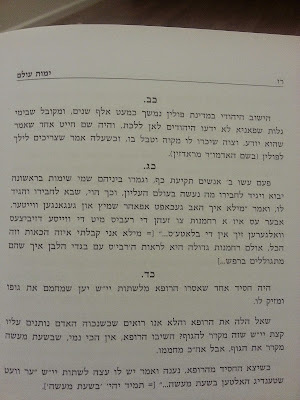 Why, even the Pupa Rov used a געבילדעטע מענטש to create a luach for him! What I would like to know is whether or not this applies to all of RYMT's seforim, or at least to all of his zmanim? 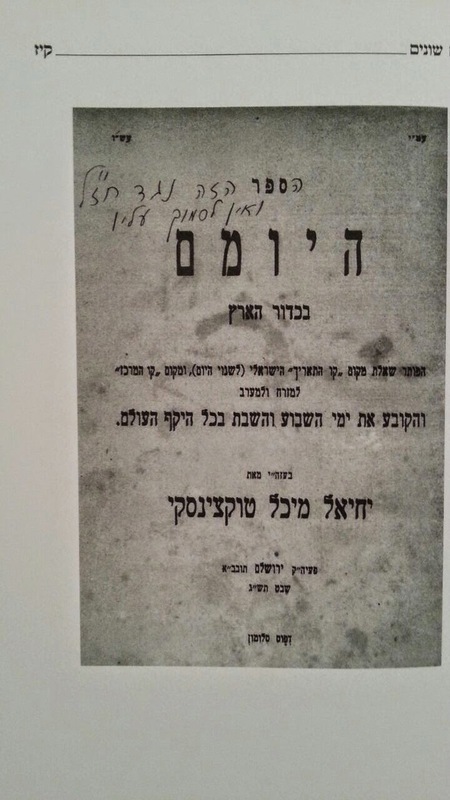 He would publish the "לוח ארץ ישראל", which is published by his grandson עד היום. 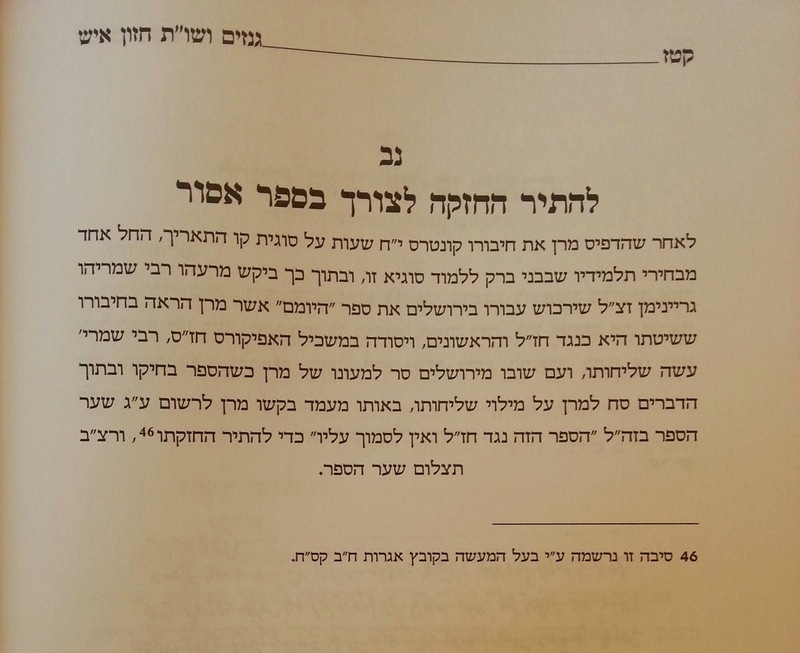 That luach is used by most Jews in Eretz Israel who don't follow shitas Rabbeinu Tam. 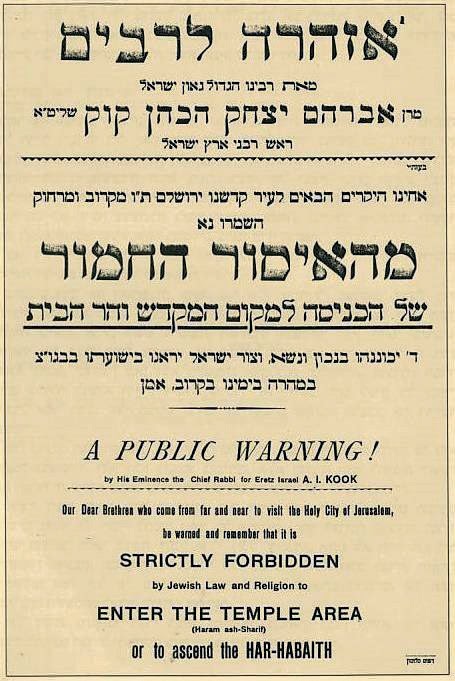 Obviously the Chazon Ish'nikkes and Briskers have their own zmanim and shiurim, but all other Prushim use that, as do some Chassidim, especially regarding zmanim like end of fasts, etc. But we do see a clear example of the absolutism that we mentioned in the header - which mind you, he wasn't the only one who was an absolutist, but he was an absolutist when it came to his OWN shittos, which is unique - I think. 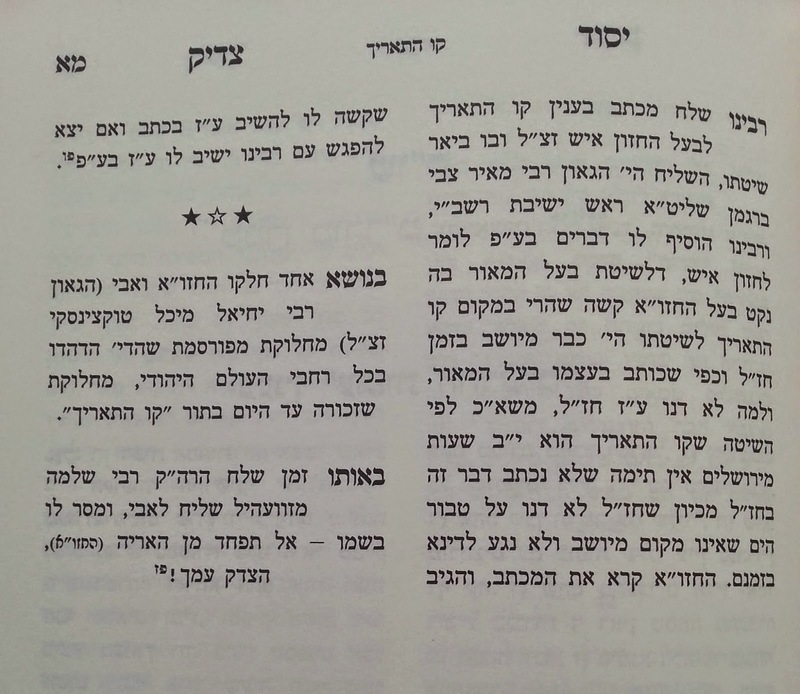 They say that the Rebbe Rashab was learning a Kamarner sefer when he saw how he disagrees with the Alter Rebbe, so he closed the sefer and never leaned Kamarna again. But that was the Alter Rebbe, not his own shittos. 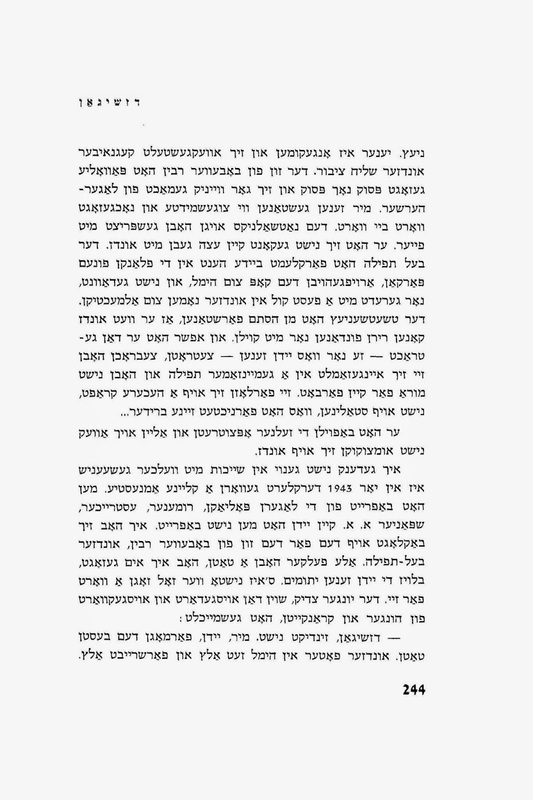 This that people like the Steipler were להשמיד ולהרג against anybody who disagreed with their Rebbe the CI, is also to be understood. In a way. But I speak of the CI alone. 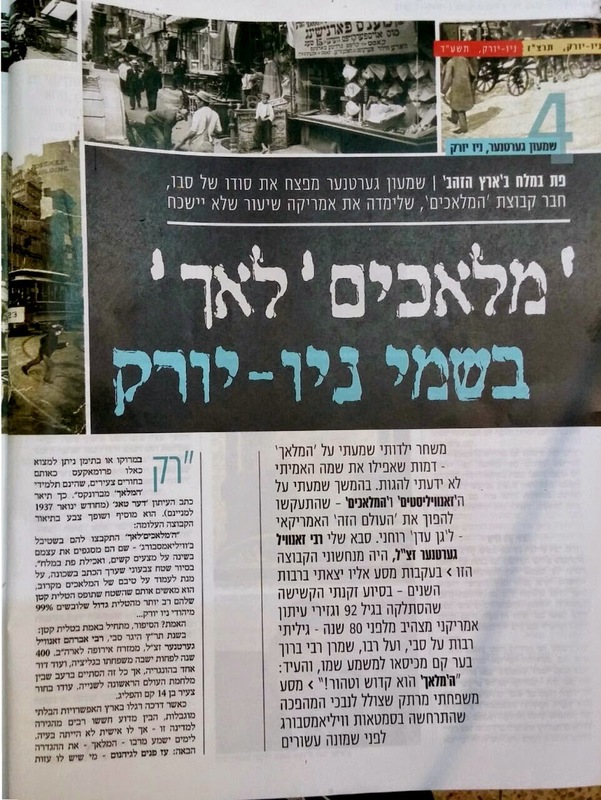 ווי איך פארשטיי שיקען די בריסקער קינדער זייערע קינדער קיין עץ חיים, מיסודו של הרי"מ טוקצינסקי, ווייל דארט לערנט מען אויף אידיש, און ס'איז א חדר אויפ'ן אלטען דרך - כאילו. א חזון איש'ניק שיקט אויך אהין? כנראה אז נישט. איז די שאלה צו דאס איז ווייל ס'איז טוקצינסקי'ס מוסד? אדער סתם אזוי. 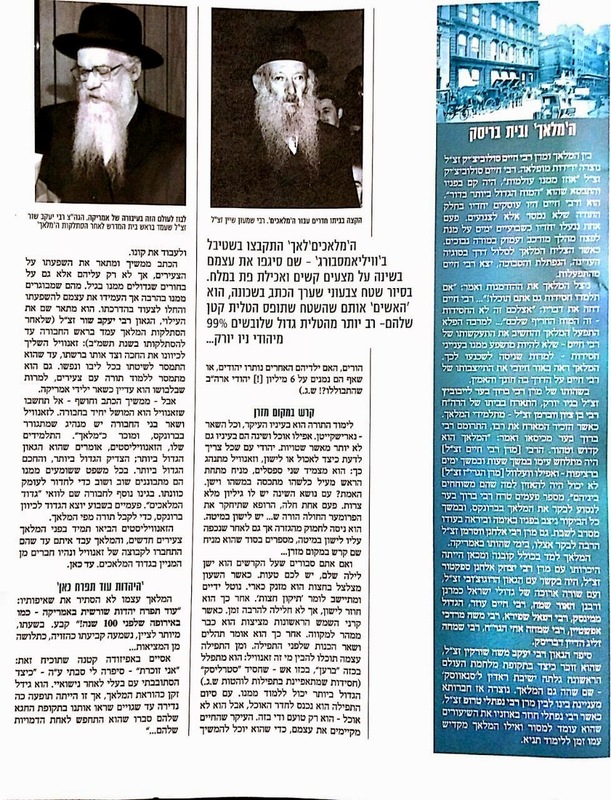 I must say that I was a bit surprised by the major amount of כבוד and coverage Reb Yankel ע"ה got upon his passing. 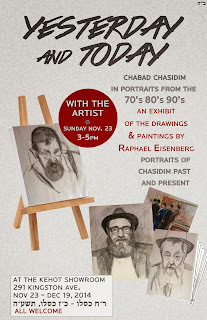 Not chas vesholom that he didn't deserve it! farkert! 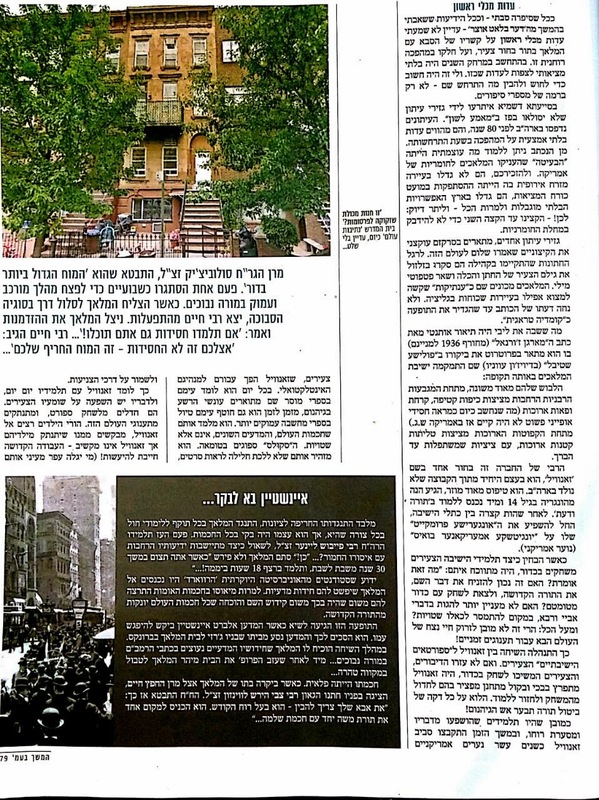 It's just that by unz in Lubavitch we don't do grand levayas, don't do hespedim - which didn't happen here - and in today's day and age it's the big shluchim that get all the coverage. So it was nice to see. And to bring the niftar into shul I don't think was done by any other niftar other than by the Rabbeyim. So it raised some eyebrows, is all I'm saying. 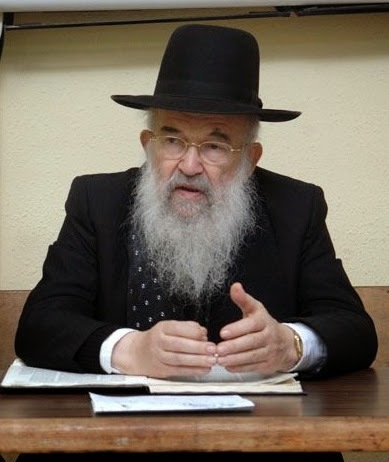 Reb Yankel was born in Chelm to a family of Radziner Chassidim and joined the Lubavitcher Yeshiva in Poking, Germany, where such legendary mashpiyim like Reb Nissen Nemenov and Reb Yisroel (Neveler) Levin led the Yeshiva. 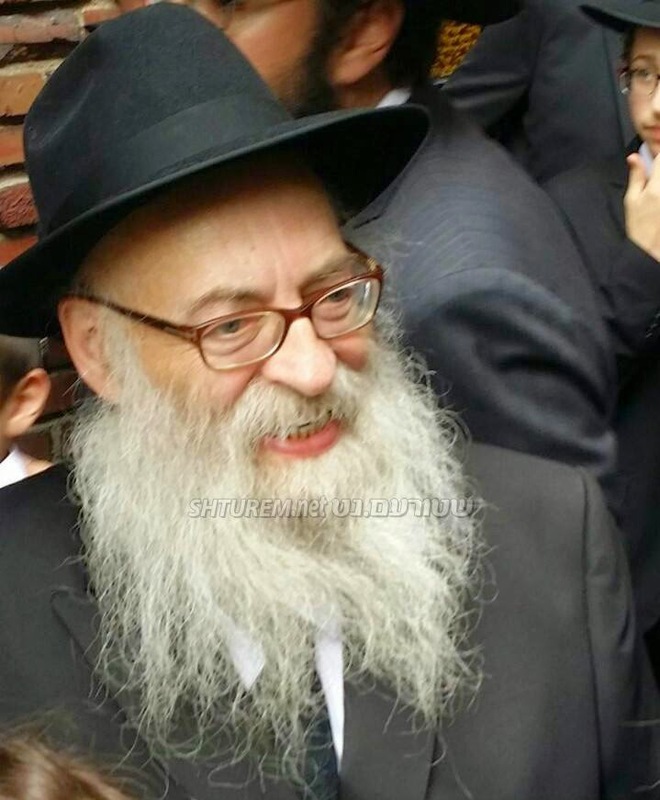 He had been teaching for some sixty years, and had been Rosh Yeshiva for some 50, ever since Reb Yisroel Grossman left to start the Karliner Yeshiva in the early 60s. Listen from 17 minutes and so for like 2 minutes. Such foolishness. Rabbi Brog has an audience listening to his speeches? He doesn't really get his message across. I mean no disrespect, but it's poshut hard to listen to! Is he R' Avigdor Miller's grandson? Was this RAM's general view on Chassidus as well? 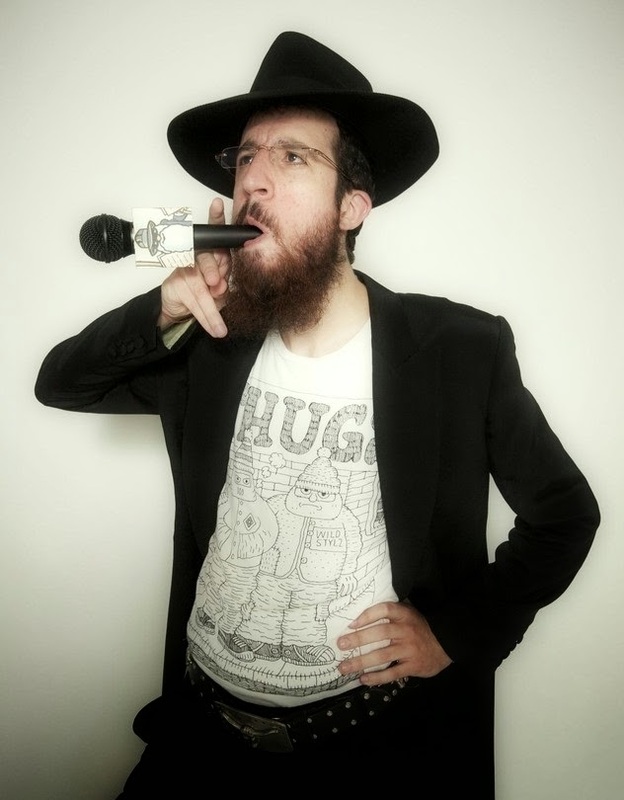 It's somewhat funny to watch, his videos from years ago poking fun at Crown Heights and Lubavitch culture - or at least it was. 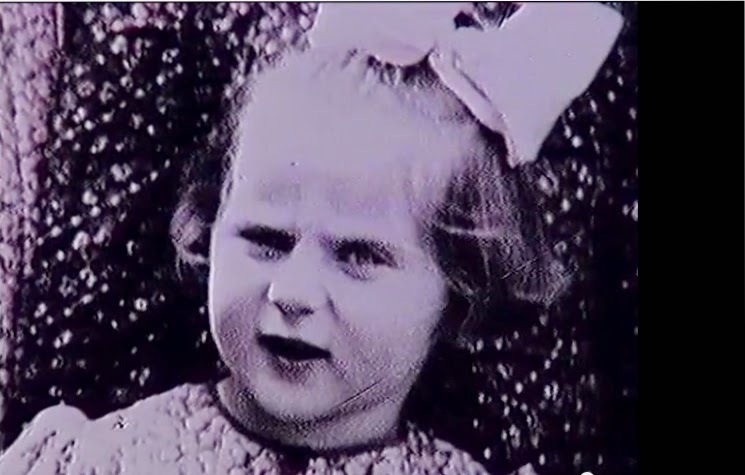 You could do with keeping your young kids from watching it, even back then. Then for a few years he lay low. Now he seems to want to go further. Moves out to LA and wants to rub elbows with the Hollywood types. Wants to "bridge the gap." Where have we seen that before? Oh, yes. And that didn't end very well. I don't have talent he has, so I can't relate to the yetzer hoRah he has, but there are other ways to use talents. I've never been to Hollywood, but people that have been tell me that once you get involved with showbiz, even on a much less formal level, even only on the production side, not actually needing to act or sing, it's tough to maintain any standards you may previously have. No matter what kind of gap-bridging you may have originally wanted to do. 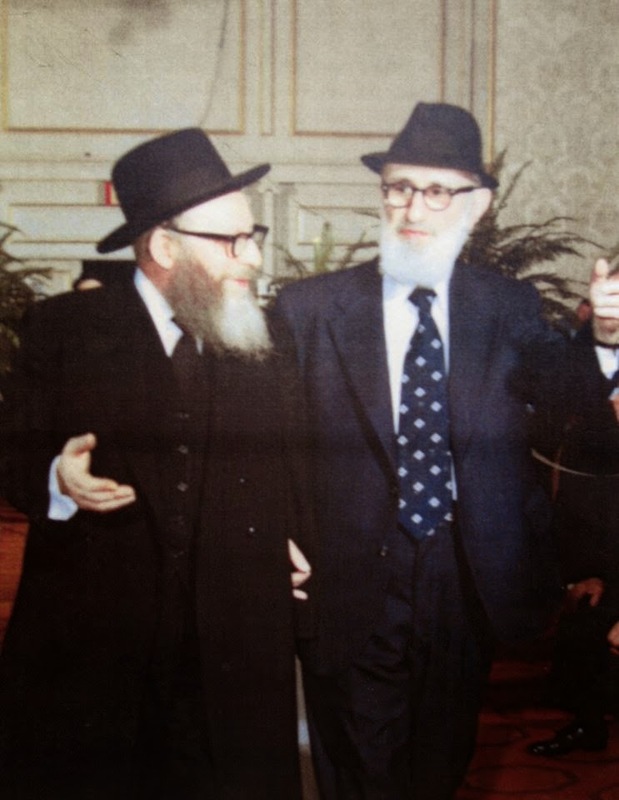 At least don't shlep Lubavitch and the Rebbe into the discussion! I'm not here to give you mussar, chas vesholom. I mean, Lubavitch is all about positive reinforcement, right? Mussar is for snags, I know. But I would like to tell him, that before he gets too involved in that culture that he discuss it with a competent mashpia, maybe a mashpia that has better foresight and common sense than the other guy's mashpia, who was a bit naive, shall we say, about what a full-fledged singing career might do to a freshly-minted Baal Tshuveh, or any frum kid, for that matter! Other than that all I can say is lots of luck, Mr. Pellin! 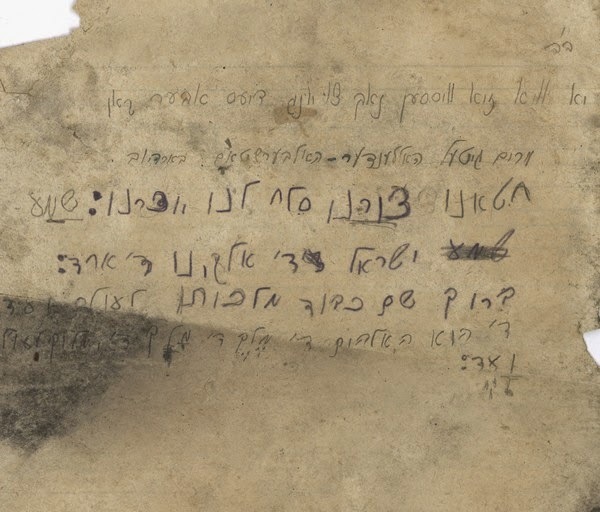 We sometimes forget that before Yiddishkeit was represented by the (wannabe) Litvaks and Hungarians there was something Peylishe Chassidus. That's "Polish," for those who have a hard time understanding accents other than their own. Most of them were born out the schools of Peshischa, and later Kotzk and Vorke. 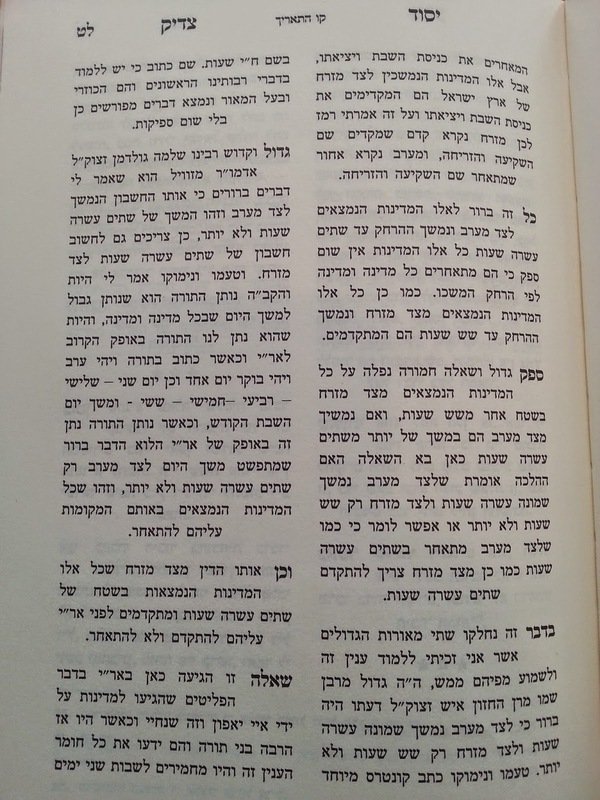 This sefer, aptly named "ימות עולם" - from the previous Amshinover Rebbe in New York, Reb Itzikel - gives us a glimpse into what was once a world of Jews, the likes of which G-d Almighty has ceased to create. 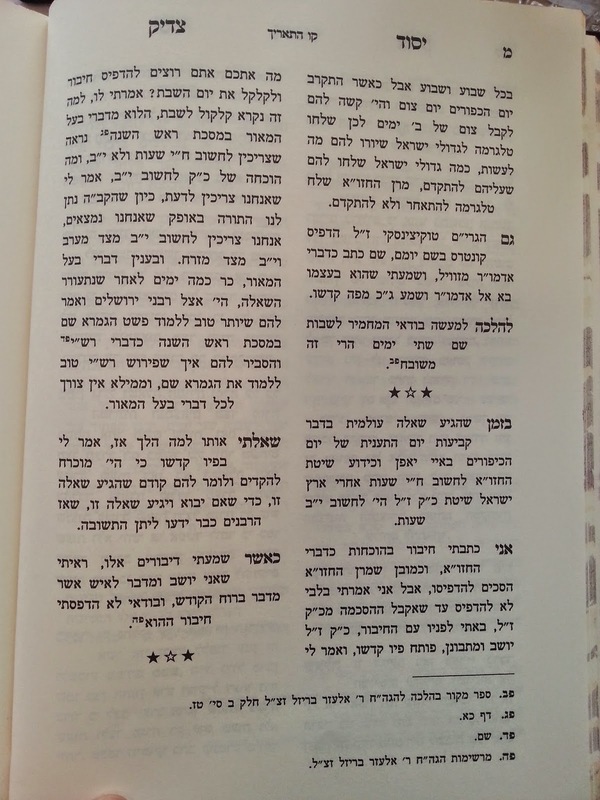 We've referenced this sefer before, and again, here, and plan on doing so sporadically in the near future, be"H. Ignore the page numbers and the אותיות, they're in no specific order. 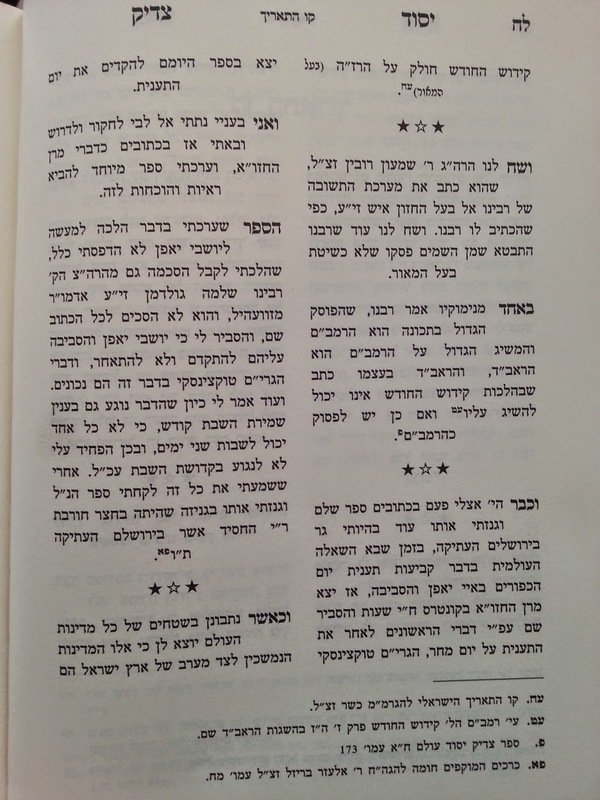 The above page discusses the Rebbe R' Shmuel Shloime ליינער of Radzin, hy"d, and how he became Rebbe. He was married to the daughter of Reb Yosef (brother of Reb Shimme'le) of Amshinov. 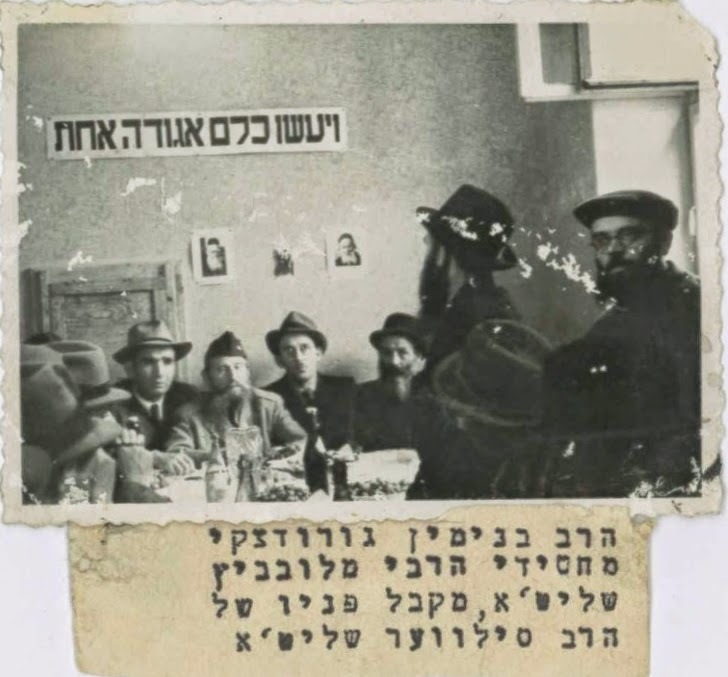 Pictured below is the Rebbe (c) with the black beard on the streets of Poland. Shabbos is Shlomo's 20th Yohrtzeit. 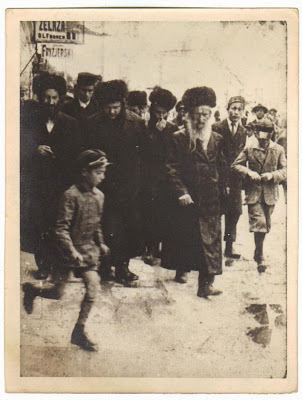 The one who was responsible for the great revolution of Jews coming back to Torah and Yiddishkeit in France. 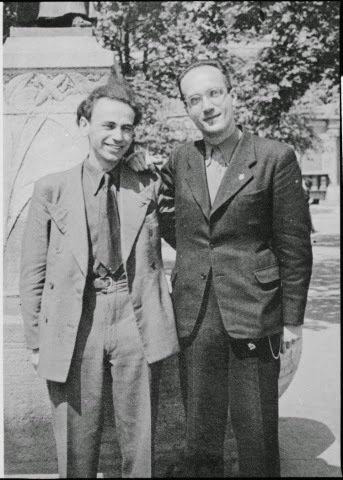 A father figure to thousands of Jews in France who owe it all to him. What more can we say? A great loss. Period. We've written about Bobov and their accomplishments in Galicia before, but this is more like a book review than anything else. 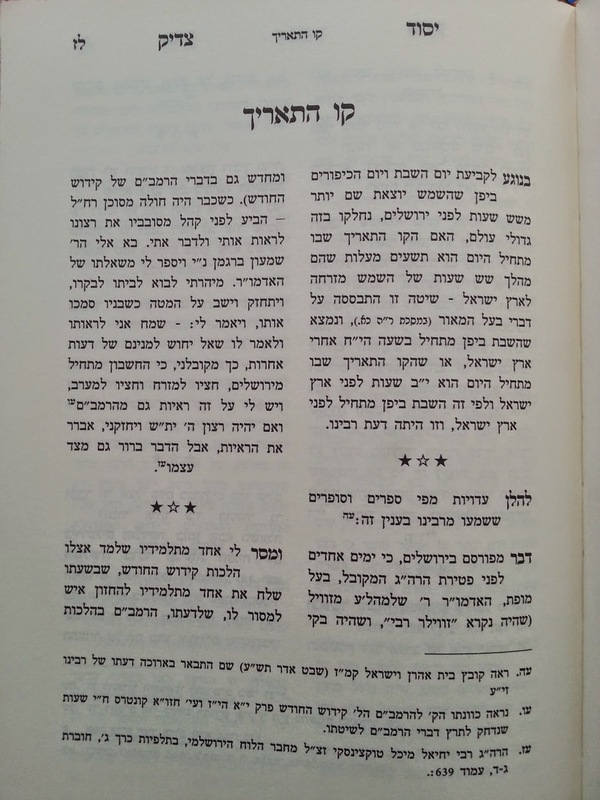 I borrowed this oldie but goodie from a family member and read some of it over Shabbos. It's even difficult to put down at times. 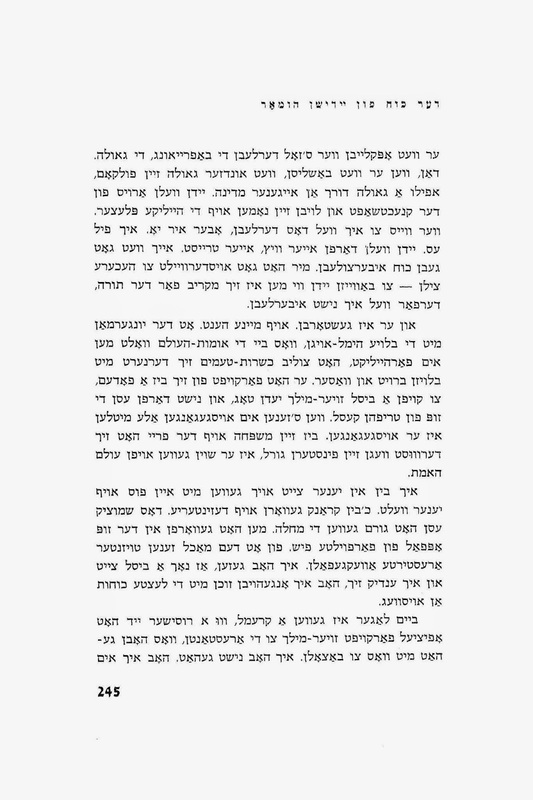 So allow me to share some thoughts as to what Bobov was and what's happening in Bobov today; and why, like we say in the header, it's a crying shame. Many other chassidim laugh at Bobov. Mostly for all the wrong reasons - but still, they laugh. ס'איז גרינג צו לאכען אויף יענעם. I know, I do it all the time. 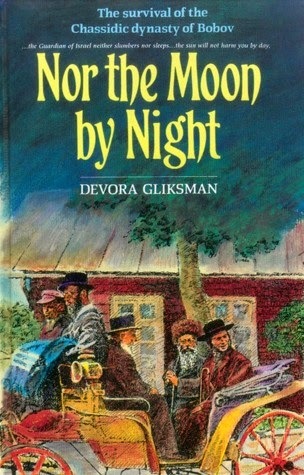 But read this book, written by a biased chossid, of course, and you'll get a true appreciation of what Bobov was before the war. Of what they accomplished in Galicia while others just thumbed their noses at them but did little to build Yiddishkeit. The story of survival during WWII is also a great lesson in hashgocha protis, as well as in emunah and bitachon, but that's not so much the point, although it's a as good a mussar sefer as any. This may sound like a bad cliche, but it does take you back to that time! 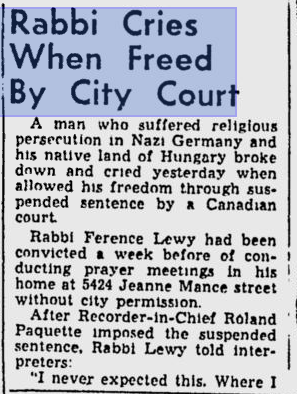 You feel like you're there with the Ruv when he's attacked by the Hallerchiks in their post-War pogroms. You're there with him when he rebuilds his yeshiva and expands the network. You're there when he sees chassidim with real conundrums, such as do I do this shidduch or that one? do I go to Canada and make a living or stay here? how do I get out of the legal mess I'm in?! Besides for appreciating his persona and accomplishments you also grow fond of his family large family. The sons, the daughters, the sons-in-law, even the grandkids. If you'd met them on the street you'd think that you're best friends with them... The trials and tribulations during WW2, the ups and downs, the countless miracles, the hashgochoh protis that was with them every step of the way, even when the result was not good. The joy upon seeing those who managed to survive, the sadness of seeing those who did not --- you live through it, plain and simple. 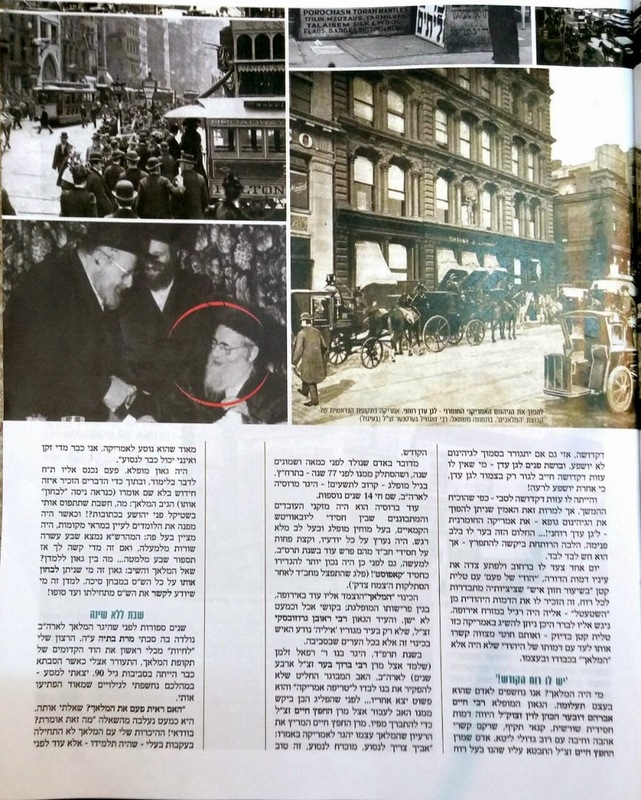 At the end of the book, after seeing what the Nazis ימ"ש did to Bobov, we get to see what was rebuilt in the US, as well in the rest of the Jewish world. We see the familiar landmarks, the big buildings, the people who helped make it happen, and some of the people who are mentioned in the pre-War chapters of the book. We see how they survived the horrors and managed to build beautiful families as well as be active in the rebuilding of Bobov. Then it hits you! 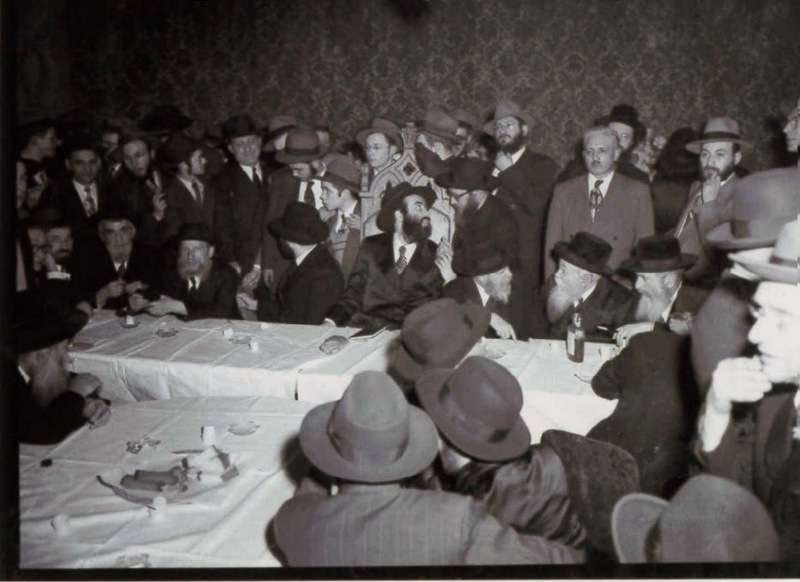 You see what was destroyed by the Nazis and what was rebuilt and you see what's happening now in Bobov, the years of fighting and a din torah that was a shande, first and foremost, and you grab your head in your hands! This isn't what people died for. They call themselves Bobov?! I have no skin in the game, I have no friends nor family in Bobov, but I do root for the underdog here, especially seeing the viciousness with which they've been treated since before Day 1, i.e. 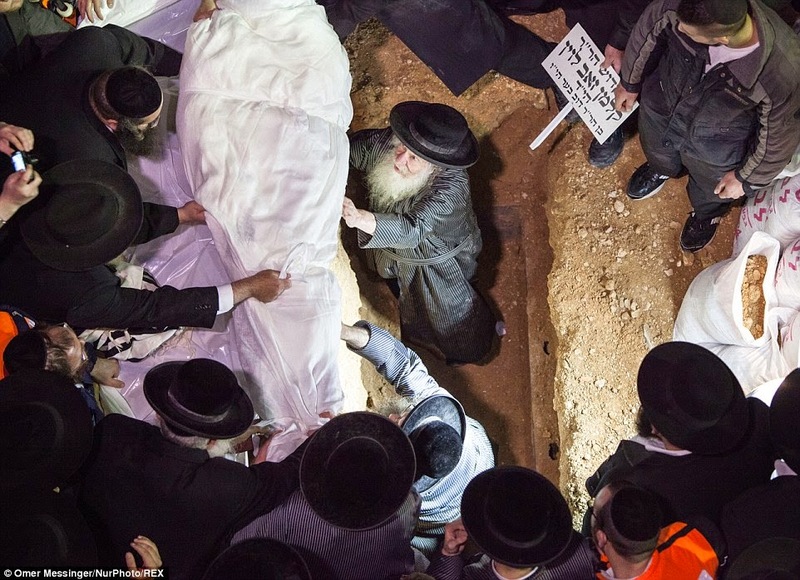 before the Ruv, Reb Naftul'che, passed away. They never agreed for him to be Ruv in the first place - him, the oldest son! 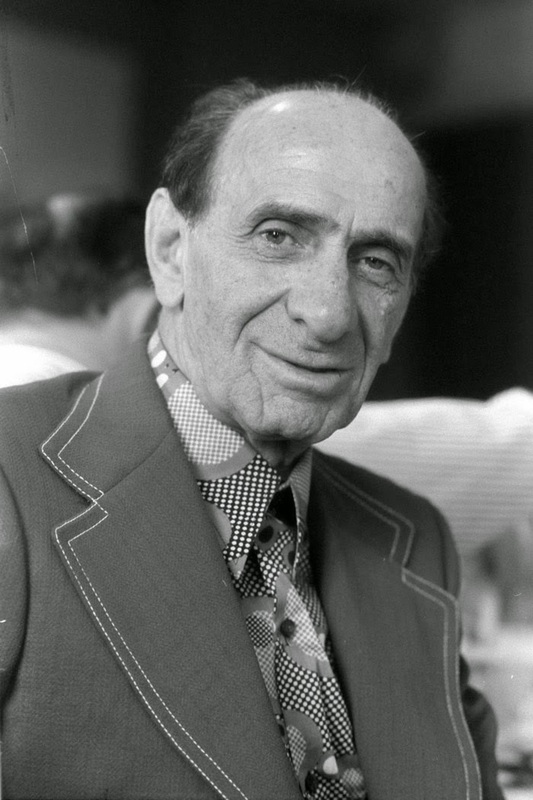 He stood in the way of their little tchachkele, the kid from Krenitz, I mean קראנהייטס, mit di sheine gelokerte pay'alach. ah, the din torah. Far be it from to sit here and criticize rabbonim who conduct dinei torah. I have no experience with dinei torah. I've never needed to take anybody to DT. But many of you have, and unfortunately, anybody that ever lost a DT swears that the Rabbonim were on the take. [otherwise there's no logical explanation why they'd lose...] Here, however, it's tough to say that the Rabbonim were on the take since BOTH sides made so much money! But nevertheless, anybody on the outside, who has no real dog in this race, will tell you that - with all due respect, of course - the psak stinks! 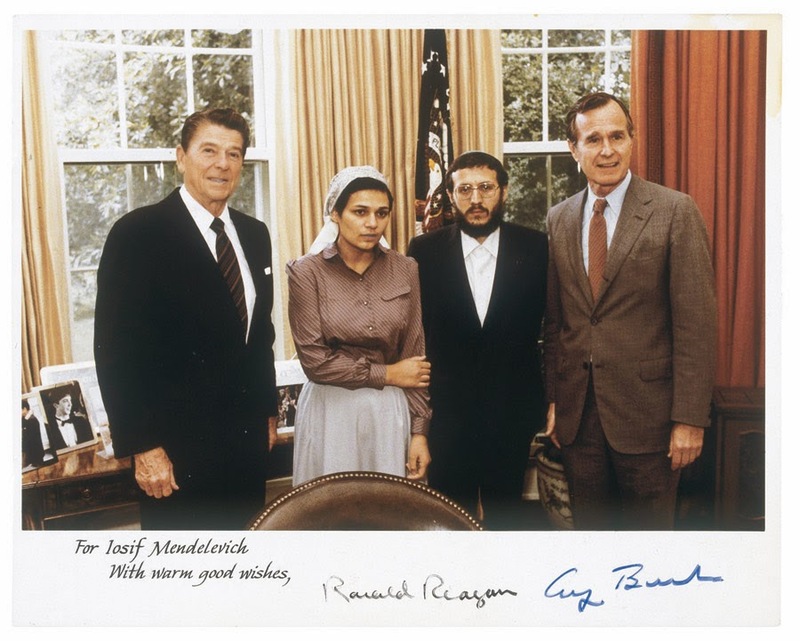 It stinks because of all the hard work that the late Reb Naftul'che put in. The tears, sweat, blood and even threats to his life that he gave to build Bobov for his father and for the chassidim. It stinks that his descendants, who he definitely would have wanted to be in charge, only get the scraps that beis din threw them. And most of all because the צד שני did very little to deserve what beis din gave him. Did little to build the institutions, to carry the debt, to endure the sleepless nights and meetings with bank managers. Other than the hallowed Halberstam name, that is. In the end, after all is settled, the 45 people will probably grow bigger and stronger because of what was done to them. So says me, עפר ואפר. סינא טינא. 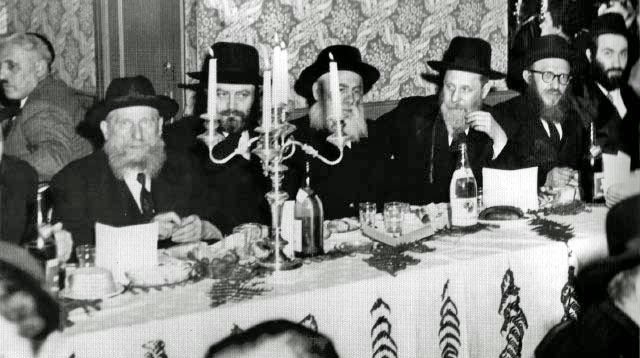 r-l: the chosson, RZS, RaSHaG, The Ponovizher Rov, The Rebbe and RLS. There's a great debate raging in Lubavitch these days, and Boruch Hashem, it's not about shidduchim, tuition costs, Meshichism, or shluchim fighting! 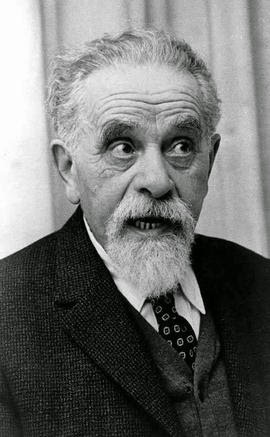 Truth be told neither Reb Berel Levin nor Reb Eli Landa refers to the other person's manner of atifah as "wrong" or incorrect, so the debate may be the creation of this blog... But controversy is what drives this business, and there ultimately is a debate, even if they don't argue with each other. 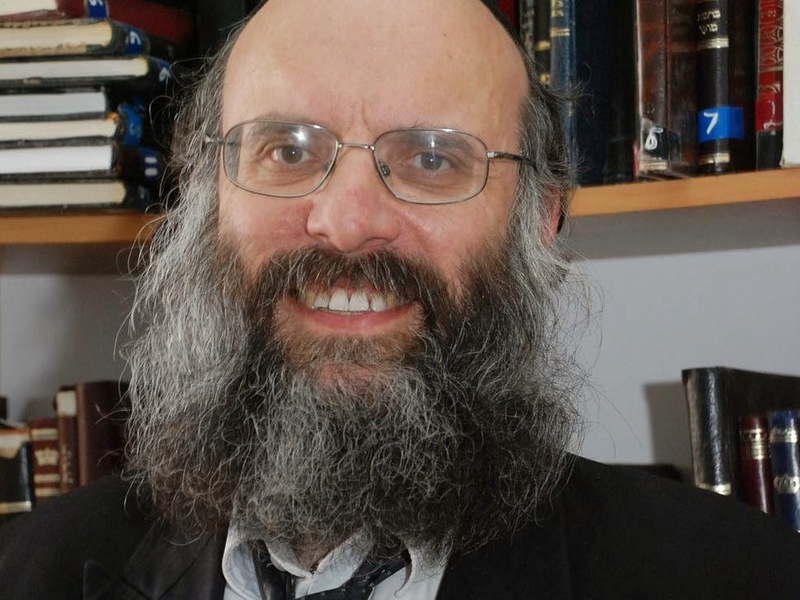 For good measure, after seeing a "related" video on You Tube, we bring you Rabbi Nissan Dovid Dubov's version, which is basically the same as RSBL. I tried to embed the code from the Levin shiur here as well, but it just wouldn't show. So all we have is a link. 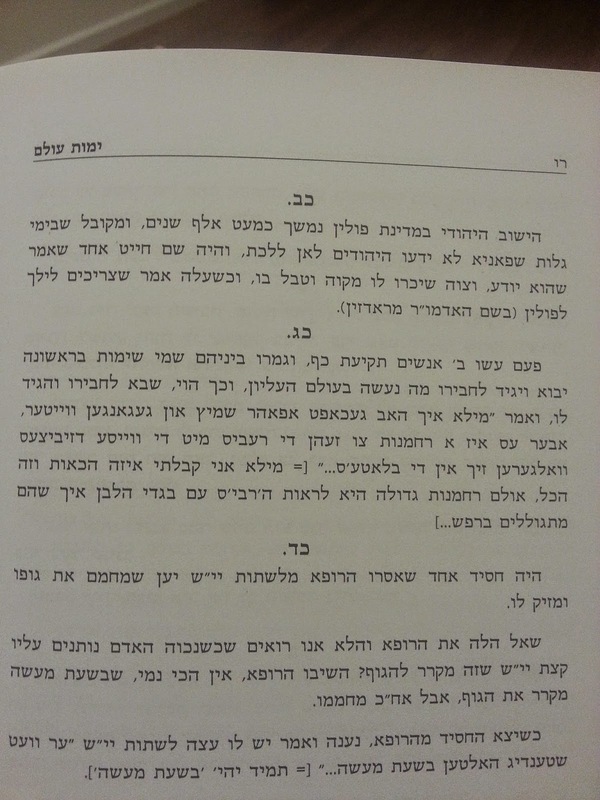 You can sense that REL will have a different take on atifah just based on the beginning, where he rolls out the Chabad מיוחד - רש"ב tallis, that the Rebbe wore during Tishrei only. 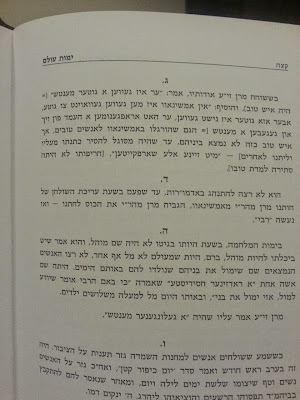 Levin and Dubov use the more standard tallis, and hence the more standard סדר העטיפה. Landa's atifah is difficult to do, but the end result is EXACTLY what an Ishmaeli in the desert would look like. 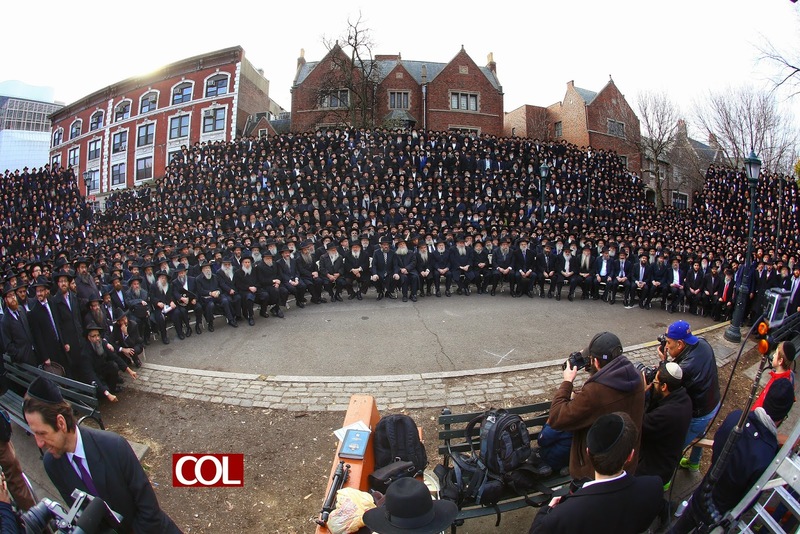 What they all have in common is that atifas haTallis in Chabad is not as easy as in the rest of the Jewish world. 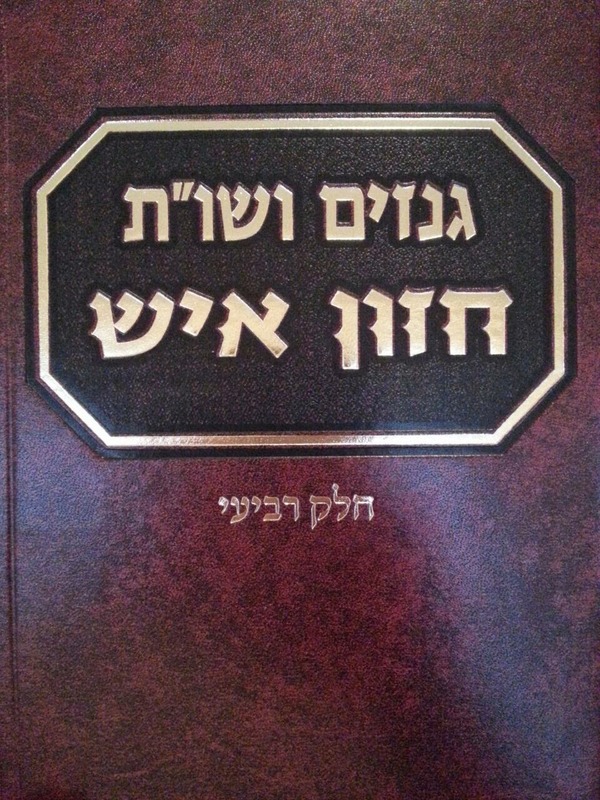 The אלטער רבי, בעל התניא והשלחן ערוך, was very specific about atifas haTallis, just as he was with all other aspects of Jewish law and observance. You also learn something from RSBL about keeping the head covered with the tallis at all times; that the only way to be מקיים atifah is by having the head covered. Otherwise it's just a large tallis koton that you're wearing. Fred MacDowell calls this picture "צוויי דינים"